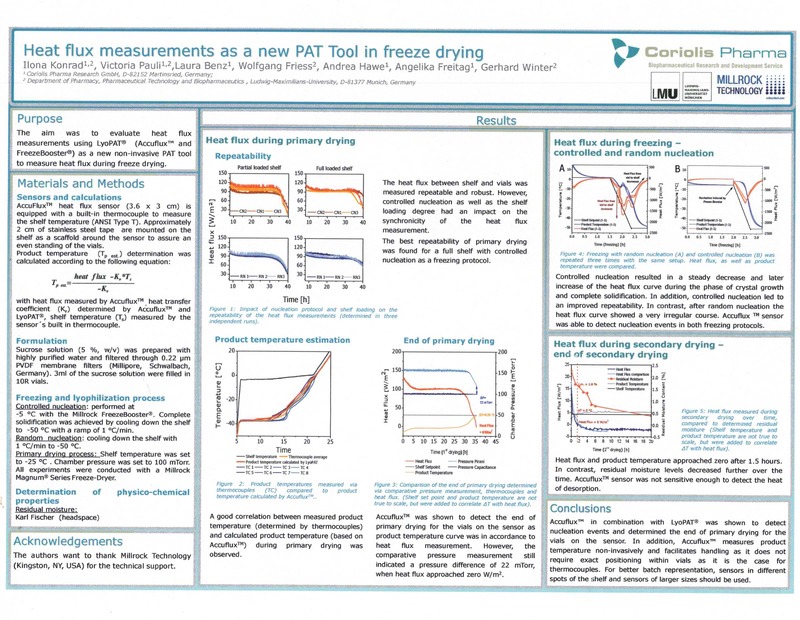 White Papers, Posters & Presentations for Freeze Drying Scientists. White Papers, Posters & Presentations for Freeze Drying Scientists. Click on the title for more information. Monitoring secondary (solute+water) crystallization by DSC, synchrotron X-ray diffraction, and in vials using heat flux transducer. Studies Leading to the Development of the MicroFD. Dr. Steven Nail, T.N. Thompson, et al. Open Source from AAPS Pharm Sci Tech.